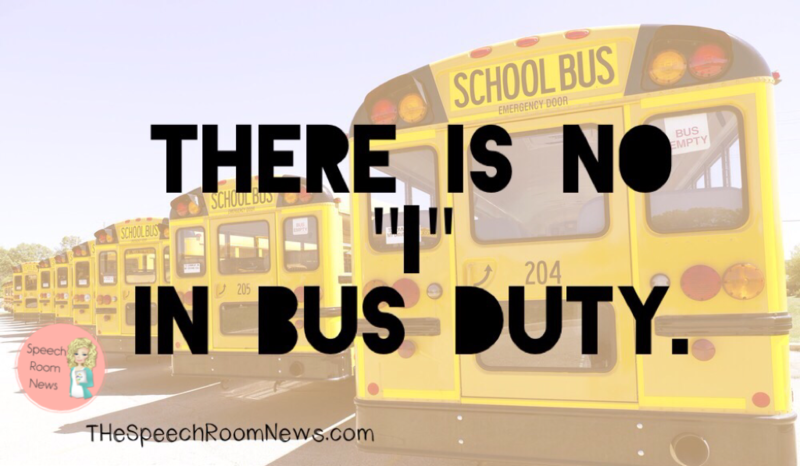 There is no “I” in bus duty. I was at a speech and hearing conference this week. The topic of morning and lunch duties came up in a chat with some local therapists. They were shocked when I shared that I do bus duty four times per day for a total of about 60 minutes of my day. Let’s be honest, bus duty isn’t my favorite. Our building has over 200 preschoolers, half of which have IEPs. An entire elementary school filled with 13 special needs preschool classrooms. It literally takes EVERY hand to get these little bodies walking (or in wheelchairs, wagons, and walkers) safely to cars and buses at the beginning and end of the school day (twice – since we have half day classes). In all my other school jobs, I never had bus duty because I was only in the building a few days a week. This whole bus duty thing was really new to me last year but it only took a few weeks of those daily walks to realize there isn’t any way to do it other than all-hands-on-deck. There is no “I” in bus duty. If I was any good at those word games where you rearrange the letters to spell words, I would tell you what IS in “busy duty,” but this post isn’t about bus duty. It’s about the team approach to special education. Our building is full of specialized team members. The 14 ECIS (early childhood intervention specialist), 4 OTs (occupation therapist), PT (physical therapist), APE teacher (adapted physical education), and 3 SLPs (speech-language pathologist) are all located in the same building. While the gross motor team is only part-time, the rest of the team works in a single building full-time. There is value is proximity. 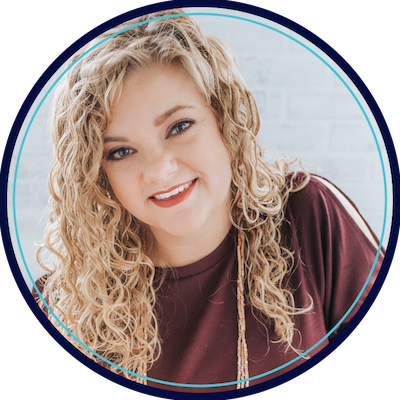 I have always loved the team approach that exists in the school but that never became so apparent until I began working at this district preschool. I can go with a class into the motor room and co-treat with the OT. The ECIS and I can facilitate social skills at snack together. If I need a second opinion on a child, I grab another SLP to take a peek. Passing each other 10 times in the hallway every day gives us the chance to collaborate in ways that have never happened for me before. Carryover and generalization has always been difficult for me to facilitate with my teachers using the traditional “pull-out” therapy approach. By providing all services within the classroom, I get a chance to share with teachers different prompts, learning targets, and carryover goals twice per week. This has increased efficiency with student achievement. My access to students has never been so high. I can literally observe their behavior every day. Not just during 20 minutes in the speech office. Of course there are hard days, hard cases, or hard compromises as with any team. The benefits of a close-knit team approach to special education have profoundly impacted the way I view the special education team. I truly believe we’ve set up an environment that is best for kids and their early intervention. Seeing many of our students catch up from severe delays to average skills in time for Kindergarten is just enough happiness to make up for those frigid bus duty mornings that are right around the bend! Even when it is ten below and snowing, I know I won’t be out there for busy duty alone. I’ll have my SpEd team by my side. How does your team function? Do you work in the same building? On the same days? ho to you collaborate and maintain contact? I’ love to hear from you! 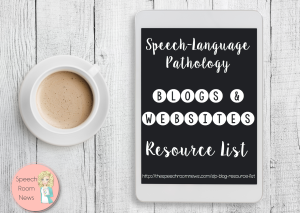 I did wonder, before this blog, how many hours you had in a day, between therapy with the kids, blogging and resource creation… I wonder even more now! I love your take on bus duty! Well done and, as an SLP who was once on playground duty, I couldn’t agree more. As an elementary school based SLP, I also have morning duty and after school bus duty. We all grumble and complain about it….but it is just part of the job…getting our little ones whete they need to go! I have to say I am so jealous of your set up at the preschool! That, to me, would be the dream job for an early intervention based SLP!! Wish we had that in my district! I would jump at the chance! We have the same approach here at my K-5 school in IL. I am the one SLP in the building (I am at this school only-which I LOVE!). All the interventionist/specialists are in charge of duty as the classroom teachers need to be there in the AM/PM with their classroom students. We have a rotating weekly duty schedule that involves (taking after school care students to their buses, standing outside and crossing kids at a cross walk in our parking lot, welcoming students in the foyer, assisting with KG car riders, standing outside and making sure parents who drop off their students are following the rules). I enjoy meeting new students and parents because I am visible. Students who do not have services know who I am. You are right in a team approach we are all in this together. We cover each others duties if needed and we are all ok with helping out. In the end it is what is best for students. Great post!!! I do bus duty as well. It is what it is. This might be for a different post but I am curious how you collect data or handle being observed when you push in. We are required to collect data daily for Medicaid billing and we get viewed more like a paraprofessional or assistant when “floating” around in the classroom where almost everyone is on caseload. Thanks! I agree that it can be hard to be seen as something besides the assistant when in classes. I think our culture within the building is really clear on that. We already have a classroom assistant in every room. Our ECIS’ are aware we need to collect data on intervention goals. I still use a little table and pull kids over during centers, but it is all within the regular classroom. 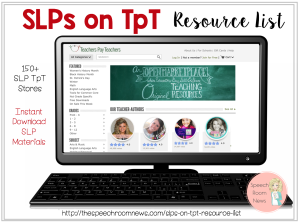 I work in a large elementary school & we have 3 SLPs, 2 OTs, 1 PT & 1 APE teacher. I love sharing a room with another SLP & having everyone else right next door. It makes for a lot of fun but crazy days! Canada with over 60 schools and we have 2 OTs, 4 ed psychs, and 6 SLPs for the entire division… I definitely don’t do bus duty, but I’m only in my schools here and there… I get to collaborate with an OT or psychologist a couple times a month if I’m lucky. It would be my dream to be in the same building as my team on a daily basis, my role is often terrifyingly isolating! Your situation sounds just like the dream job I recently left! I too did bus duty 4 times each day with our inclusive preschool/ECSE program. We had monthly team meetings so all classroom staff were on the same page. It was amazing. Thanks for posting! I am willing to do whatever is asked of me during my contracted work hours. If the district would prefer me to spend part of my contracted day directing traffic that’s ok with me. With a caseload of over 70, and our group sticking to paid work hours until conditions improve, that time means something else isn’t getting done or done as well. So far, I haven’t been asked to direct traffic instead of writing a legally defensible report. I’ve always had bus duty in the various elementary schools where I’ve worked. Never knew there were school based SLPs out there that didn’t do that as part of their day!! I think it’s great that you do bus duty . I am a special ed teacher at a special school however our therapy teams are only at our school one day a week. I find parent pick up and bus duty is a great time to get your core on and communicate. The kids are very motivated at this time of day to chat to a range of adults and peers, and it is a great opportunity for them to ask questions and comment to generalise skills. We wear boards, PODDs and high tech options. Sounds just like our ECS in Texas. How do you handle recess? We have 1 SLP, 1 TA and 1 SPED teacher in the classroom every other day and recently there has been a lot of “talk” that SLPs are spending too much time outside watching the kids while they could be inside pulling other kids for therapy/planning/etc. I also have bus duty. I am okay with it until our Pennsylvania Winters hit! I also pitch in at school special events and I find that enjoyable since it is a natural opportunity to observe students in a more natural environment. As for therapy, I am primarily a push in therapist. I see most of my students within their classrooms. I am just another rotation that they have in their schedule. It is actually easier to push in since kids do not feel that they are going to miss something while they are gone. Most of my students are kids with severe behaviors so I welcome the support of the classroom staff should a crisis occur. If we are alone in my office it could be extremely difficult or I would have to call for help to come to me. A few years ago one of my buildings tried to schedule traveling specialists (SLP, Social Worker) for playground duty before school. It became a problem because so many meetings were also scheduled for this time and it was hard to trade duties when only in the building a couple of days a week. I didn’t mind doing it, but couldn’t be 2 places at once. The Principal finally decided that it was not working and stopped scheduling us for duties.